Thank you for your interest in The Salvation Army. We are pleased to offer you opportunities to increase the value of your estate for yourself, your family, and your community. The Salvation Army's has various planned giving programs available that we would be glad to discuss with you. 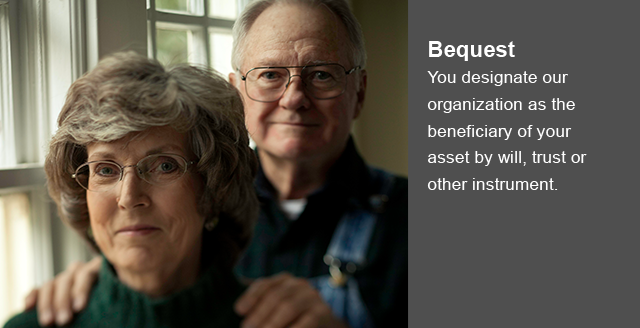 One of our most popular plans is the Gift Annuity program. We can provide you with an illustration showing you the benefits of the Gift Annuity or any of our other plans. You can also request a booklet, "A Legacy of Love", which provides information on estate planning. If you would like additional information, click here or you can call 1-800-758-2769. Thank you again for your interest and support of The Salvation Army. I look forward to hearing from you.